It’s been a while since I’ve written a blog post that’s not a book review. My apologies to those who enjoyed my earlier writing, it’s just that my life has been a bit busy lately and quite frankly a little boring that there wasn’t much for me to ruminate on. All that’s changed in the last four weeks. 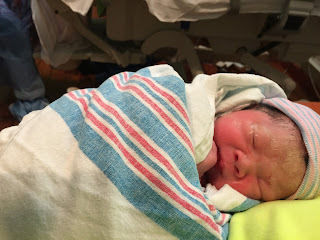 I’ve been up in the wee hours of the morning almost every day for a month because my first child, Madeleine, was born on August 4, 2015 at 12:29 AM. Thank God, the delivery went amazingly smoothly. My wife Lisa’s water broke three weeks before the due date but it just happened that only two days earlier we’d gone to see her OB–who just happened to tell us that baby was ready to come out at any time and that if the water broke overnight we should just keep calm and relax until the morning. If the good Lord hadn’t arranged it that way let’s just say that Tuesday morning would have made Ricky Ricardo’s experience look like a cakewalk. That first week I started to jot down some thoughts, and each new day of fatherhood brings new experiences. And one of the things I thought about was this. When the writers of the Bible write about God, one analogy they use over and over is that of God being a Father and us being his children. While God is compared to many things in the Bible, a shepherd, a lion, a rock, an eagle…it’s the image of God being a father that comes up over and over again. I always wondered why this was, but now that I’m a brand new father, even in the first few weeks I can see it. In my short stint as a father, certain observations about myself as a father have helped me understand my Father above just a little better. And so I thought I’d share a few of those things I learned or re-learned about God with the help of little Maddie. 1) You are precious in His sight. 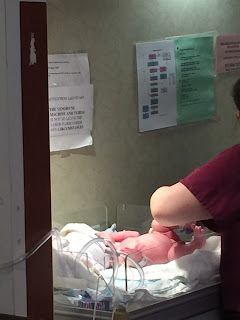 I wasn’t sure whether I’d wanted to be in the delivery room when Lisa was giving birth. In retrospect, I’m glad I was. It was at the same time the most disgusting and the most beautiful thing I’ve ever seen in my life. First there was nothing. And then out popped a little head. And then the rest of her came out (along with a whole lot of gunk). And the instant I saw this little thing that looked like it was covered in goo, my heart skipped a beat. I fell in love. After putting her on her mommy’s tummy they whisked her away and put her under a light. My pathway was blocked by the doctor and nurse and all the equipment but I wanted more than anything to jump over them and get to her. As most of you know, babies when they first come out aren’t the prettiest things in the world. This isn’t their fault–after all if you tried to squeeze your way through a three-inch doorway you wouldn’t look that pretty either. And yet from the beginning I just couldn’t stop looking at her. And even today, now that she’s all tiny and cute and pink, every now and then I feel compelled to just stop whatever I’m doing, walk over to her bassinet, stare at her little face sleeping in peace, and give her a kiss on the cheek. Seeing her invariably it fills my heart with joy. Isn’t it the same thing with God? I think so often we tend to think of God as either a nameless, faceless entity out there or as the vengeful, powerful being that’s ready to judge and punish us. But that’s not God. God’s heart is that of a loving father. Even if you don’t realize it, He takes the time to look down on you and smile, because he loves you. And it’s not because of anything you did or didn’t do. He loves you simply because you’re his child. We tend to forget this. We surround ourselves with self-imposed rules and regulations and conditions and checklists, and if we fall short one of them suddenly we feel that God is no longer going to love us. But that’s not the way it works. And the thing I realized? Just as there’s nothing that can make me stop loving this little girl, there’s nothing that will separate you from the love of God. 2) He feels pain when you feel pain. After we spent some time together in the delivery room they took Maddie away in her little cart to the hospital nursery. Lisa had to stay behind so I followed the nurse to the nursery and was told I could watch her from behind the big glass window. I saw another nurse take Maddie to the far end of the big room from where I was standing. As the nurse has no doubt done a million times, she took a cloth and started wiping baby down. Once she started to wipe Maddie’s little feet, I saw both of Maddie’s two tiny arms raise up and the tiny fingers on her hands spread apart and trembling in the air (in subsequent weeks I’ve found this is one of her signature moves any time she starts freaking out about something, I’ve dubbed it her “jazz hands”). 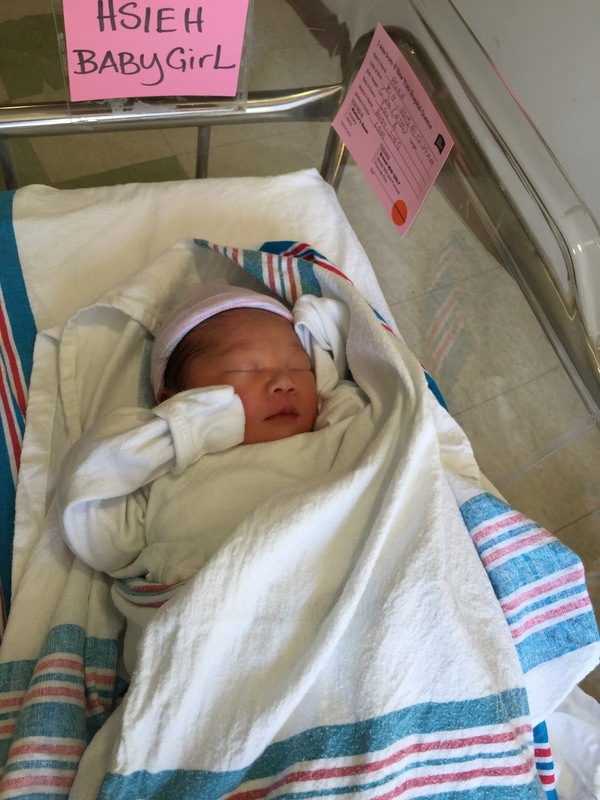 And even though she was just minutes old I could already recognize the sound of her distinctive wailing, even though the glass. I stood at that glass and stared and stared at little Maddie for what seemed like an eternity. Even though rationally I knew that these were medical professionals and all the things they were doing like bathing her and pricking her little heel to draw blood were necessary to take the very best care of her, still very bone in my body wanted to break through that glass and go “rescue” her. I knew that in her brand new little brain she’d never experienced pain or discomfort before so regardless of how routine these things were, to her it was literally the worst pain she’d felt in her whole life. And so even though I knew she wasn’t in danger, observing her and knowing that she didn’t know that made my heart ache for her. Sometimes when we go through the darkest periods of our lives we feel isolated and alone. We cry out and it feels like no one is listening. Just remember someone is. He might be on the other side of the glass. But as the hymn says his heart is touched with your grief. Maybe it’s just for a period of time that you need to go through the things you’re going through. But invariably if he lets you go through it it’s something that is going to make you stronger in the end. Just know that he’s watching every second and waiting for the moment to get you out of it and take you into his arms again. Hang on. I went back to the glass window of the nursery later that day. I saw a young man standing at the glass just as I was a few hours earlier. Now by this time I was an old veteran and knew how to look for my baby–I could see her empty cart close to the window with her name on it and next to it the nurse was doing some testing on her. Like I said, I could recognize the sound of her crying and the unmistakable sight of both her arms sticking out with her signature “jazz hands”. I glanced over at this guy and I saw him looking at her too. He had the same lost-in-the-clouds look I had a few hours ago and was just standing there and staring into the glass. In my best broken Chinese, I found out that his wife had just given birth. I asked him which baby was his and he pointed—to MY baby. He asked me which one was my baby. I smiled and said to him I think the one we were both looking at was mine. But he got a grimace on his face and shook his head. He was pretty adamant that it was his baby, and then proceeded to continue looking dreamily at her. I realized that between this guy’s broken English and what he’d just gone through he probably just misunderstood the instructions of the nurse on how to look for his baby, so he picked the first Asian baby he could find (in fact, I could see pretty quickly that his baby was all the way in the back where my baby had been a few hours earlier). So I chuckled to myself and figured I’d let it slide. But inside I was admittedly annoyed–here’s this dude who’s making all these googley-eyes at MY baby while his own poor little girl was all alone in the back (okay, let’s just say I still had my share of irrational new daddy emotions too). In the back of my mind, I wondered what would have happened in the old days before hospitals got so good at tagging babies with identification the moment they were born. What if this guy, despite all the tags, insisted on taking my baby as his own? All I know is that it wouldn’t have been pretty. When I used to read Bible passages of God being a jealous God, I never quite understood what that meant. After all, the Bible says that love is not jealous, right? Of course, it all makes sense when you read scripture not as a logic puzzle to be solved but just using common sense. When the Bible says that God is a jealous God, it’s not saying he’s like insecure or whiny like a jealous boyfriend seeing his girlfriend talking with another guy. I think what it’s saying is that he has such a deep love for you as a father that, like me in front that nursery, will will not stand idly by against anything that might take you away from His love. And so just as I would have decked the dude if we were to try to take daughter away, so will God defend you against the enemy. 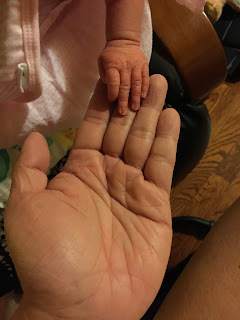 When I first started writing this post we were still within the first 20 days of Maddie’s arrival home. For the most part she was a model newborn. She’d sleep 18-20 hours a day, we’d wake her every 4 hours to take her bottle, she’d maybe spend a few minutes cooing and smiling at us, and then she’d go right back to sleep. After 2-3 weeks, her mom and I would smile at each other. “Hey, this isn’t too bad. 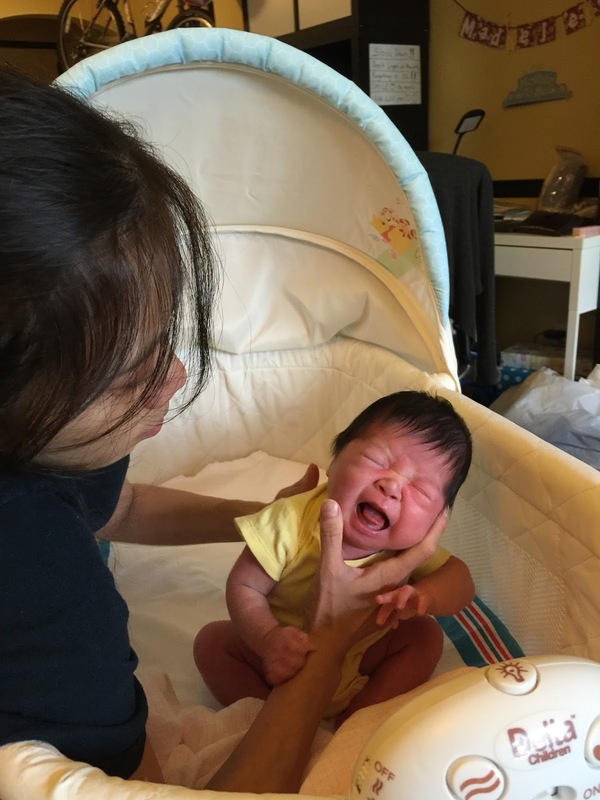 Maybe all the things we heard about fussy babies just happens to other parents. Maybe our little girl is the one out of 108 billion babies who’s going to be a calm, quiet, fuss-free baby”. The other night was the rude awakening. Literally. All of a sudden, Maddie just started wailing inconsolably, a blood-curdling scream that reached into the bowels of my soul. Her mom and I scrambled to try to figure out what was going on. Was she fed? Yes. Was she clean? Yes. Was she burped? Yes. Was she running a fever? No. When I’m on a plane or a train and someone else’s baby cries I admit I get really annoyed. I put on the noise cancelling headphones and crank the volume on my iPhone up. But Maddie’s cries touched my heart. As incessant and piercing as her wailing is, it doesn’t really bother me. Every fiber in my being just wants to figure out what’s wrong and to try to fix it for her. Because I know the reason she’s crying isn’t personal–it’s just that she desperately needs something. A lie we tell ourselves is that it’s not the case with God. Modern day armchair psychologists will talk about how prayer “works” because it’s a psychological way for humans to find a release for their emotions, just the same way that counseling or aromatherapy or meditation will. But those of us who know God know that prayer is much more than that. There is someone listening at the other end. When you take the time to talk to him, He listens to every word out of your mouth, and every tear is precious to him. And even if you can’t come up with the right words and you end up just, well, crying, he is touched by every tear. I think many Christians tend to have a flawed concept of prayer. They think that it’s something you should “force” yourself to do and “develop a habit” of doing it, like eating your vegetables or brushing your teeth. When you think about it, what is a “good prayer”. Is it prayer that we force ourselves to do consistently the same time every day? Is it a prolonged prayer that lasts at least 15 minutes to half an hour? Is it a prayer where we recite beautiful words? Or is focusing on the outward appearance of prayer instead of what’s in the heart missing the point? Now don’t get me wrong, I’m not denigrating those who pray every day or who pray for long periods of time every day. Every blessing I enjoy today in my life I can trace back to those hours I heard my mother on her knees in prayer in her room with the door closed. But what I am challenging is that prayer should be “habit” or “routine” or that a meaningful prayer life can be built by focusing on the trappings of what a supposedly “good prayer” is. I look at my little girl. If she’s hungry, she’ll let me know it in no uncertain terms. If she’s dirty, her cry changes a little. If she’s gassy she’ll make a face. If she’s hot she’ll wriggle uncomfortably. Bottom line, when she communicates with me it’s not “out of habit”, it’s because there’s a deep need within her that she has to communicate. Granted, her communication with me is imperfect. But I try my best to understand because I know she communicates out of the bottom of her tiny little heart. While I don’t like to think about it, one day she’s going to grow up and leave home. And I wonder what it’ll be like. Will she set an alert on the calendar (or whatever they have 20 years from now) at the exact same time every week because it’s her “duty” or “it’s a good habit” to call her dad? And then when we get on the phone (or whatever we’ll have 20 years from now), will she run through a checklist of things to say to me and then precisely 20 minutes later when her alarm clock goes off hang up the phone? Boy, I hope not. I hope we’ll have the kind of relationship where she knows she can talk to me about anything. Where we can share what’s been going on with our lives. Where we can laugh together and cry together. Where she can tell me from the bottom of her heart what’s wrong and I can do everything I can to try to make it better, listen to her, pray for her, and pray with her. And I hope if I’m not there for her that she can have the same kinds of conversations with her God. It was the Pharisees in the Bible who focused only on outward appearances thinking that maintaining those somehow were bringing them salvation when all it was doing was condemning them. Don’t learn from them. Don’t waste your time with meaningless repetition or mouthing the same repetitive chants every prayer. Have a conversation with your God from the depths of your heart and your soul. It doesn’t matter where you are, you can be on the subway or at a traffic light or in the middle of a workday at your office, or lying in bed, He can hear you. It doesn’t matter if you pray for 15 seconds or 1 hour, both prayers will touch His heart equally as long as they come from your heart. 5) He rejoices when you rejoice. 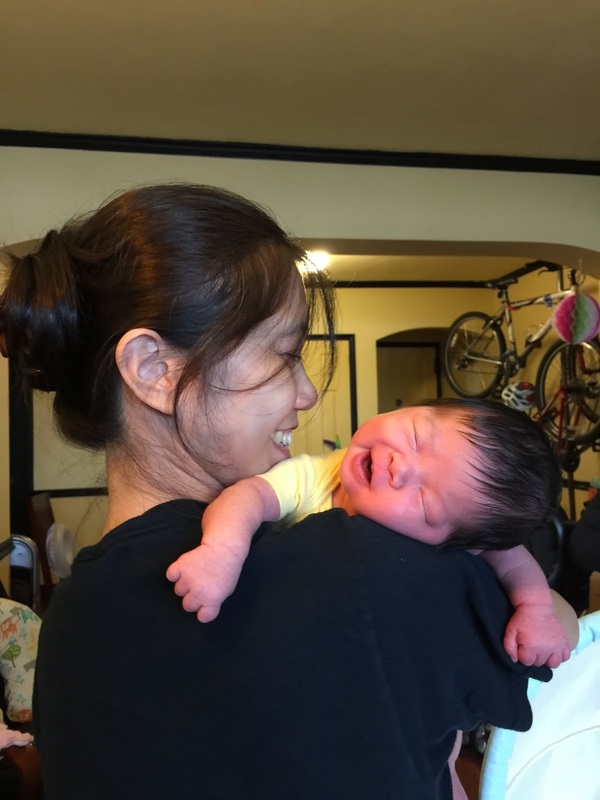 People often make fun of parents of newborns because they’ll swear their baby is smiling at them when most of the time the baby is just releasing gas. But there have been a handful of occasions when I’m looking into Maddie’s face and even at 17 days old she’ll genuinely smile, most of the time when she’s sleeping but occasionally when she’s wide awake. Her little eyes will get all scrunched up and the corners of her mouth will burst into a toothless grin. It’s these moments that the parent of a newborn lives for. It’s like the world stops. At first I would rush to grab a camera and capture the moment. But now I just try to enjoy whatever moment she’s enjoying together with her. Seeing her smile fills my own heart with an utter sense of joy. How do you touch the heart of God? By rejoicing in him. I always find it a little sad in my church when we sing hymns like “Sunshine in My Soul” and “Joy to the World” and the congregation sings them with all the energy of a funeral dirge. Rejoicing and the Truth should not be mutually exclusive. When you hear the gospel, you should laugh. You should clap your hands. You should shout Hallelujah, not because it’s a magical word that you use to summon God to help you when you need something, but because from the depths of your soul you just want to praise the Lord. The next time you read one of the Psalms where David is rejoicing in the Lord instead of reading it to yourself, shout it out loud. The next time you read Philippians 4:4, instead of analyzing the context in which Paul is saying it or studying the Greek word behind the words Paul is using, try something novel. Just rejoice. And God will smile right back at you. 6) He watches over you. I admit I feel a little like an NSA agent every time I look at Maddie in the baby monitor. 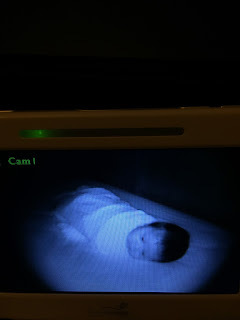 I’ve got one of those monitors that uses near-infared light to let me look in on her when she’s sleeping in her crib during the night. I’m actually writing this at 2:43 AM viewing Maddie as we speak. Tonight she had a hard time sleeping. I fed her, I burped her, I swaddled her, I gave her a good night kiss on the cheek, and then I turned off the lights. Then I went into the next room and switched on the baby monitor. After a few minutes she started kicking and fussing. So I walked into the room, picked her up, did five more minutes of burping and put her back to bed. After a few minutes, more kicking and fussing. Then I gave her a pacifier and watched desperately in the next room as she sucked on it with both her two eyes wide open. And then “achoo”, she sneezed and the thing came flying out her her mouth. While part of me wanted to run back in the room and immediately replace the pacifier, I forced myself not to, as I wanted to see if she could put herself to sleep. So I just stayed in my chair, eyes affixed to the monitor. There are some wiggling, some kicking, and a little whining, but after what seemed like an eternity it stopped. She was finally asleep. And so I wonder what goes on in Maddie’s little head when I see her staring into the darkness. I imagine she may feel very much alone. But of course she’s not alone. I’ve been watching her the whole time. As we approach her feeding time, I’m ready at the first moment I see her exhibiting signs of hunger to run to the kitchen to assemble her bottle, grab a few containers of her formula, shake the formula and pour the exact amount I want her to drink into the bottle, get her bib ready, and then go into the room to get her. Of course, while I’m doing all this she doesn’t know that all this is going on. And so I think it is with God. He knows exactly what we need, and all we need is prepared for us. As I mentioned above there are times when we feel alone, and wonder why He isn’t there. But he is. He’s been awake the whole time watching. Sometimes he answers prayer right away, but sometimes he doesn’t. In both cases he does it for a reason and in both cases you can bet he’s scrambling to get you exactly what you need. Because He loves you. 7) A father tells you what to do not to lord it over you but because he loves you. In society today there’s a fundamental misunderstanding of the nature of God. The very phrase “God-complex” describes people who look at themselves as too self-important, too powerful, and too domineering as if that describes God himself. Especially in our increasingly secular society, God is denigrated as a taskmaster, as a tyrant, as someone that puts unreasonable demands upon those who worship him. And ironically, as much as secular society pushes this false notion of God, sadly it’s too often Christians themselves who are the root cause of why people see God this way, Christians who have made God in their image instead of the opposite. There are times, even at only a few weeks old, when I want Maddie to do things that she doesn’t want to do. When I put her on my lap to burp her, there are times she gets this “I can think of a hundred things I’d rather be doing right now than having this guy slap me on the back” look. Or I’ll swaddle her at bedtime and then turn around and like Harry Houdini she’d be completely free. Of course I don’t do these things to lord it over her. I do these things because I love her. I know that if I don’t burp her she’s going to be uncomfortable. I know if I don’t swaddle her she’ll be wiggling so much that she won’t be able to get any rest. I remember when I’d complain about my dad telling me to do certain things, he’d invariably say to me what I’m sure a lot of your parents said to you. “If I was Steven (insert random last name here)’s father, I couldn’t care less about what they did.” I guess I’m finally beginning to understand where he was coming from. We ask God for all kinds of things every day. What we don’t realize is that God has already given the instructions we need to follow for us to get every single thing that we’re asking for. He didn’t give us commandments because he’s an oppressive God who’s like a petulant kid burning ants with a magnifying glass. He did so because he knows if we simply follow what he told us to do in the first place, we’re going to enjoy the kind of peace and joy and fulfillment that we ask him for every day. When John said that this is love for God, that we follow his commandments, that verse has renewed meaning for me because the opposite is true as well. It was out of love that God gave us his commandments in the first place. 8) He knows your needs before you know them yourself. Maddie doesn’t know that her mother and father have already prepared more things for her than a doomsday prepper getting ready for Y2K. 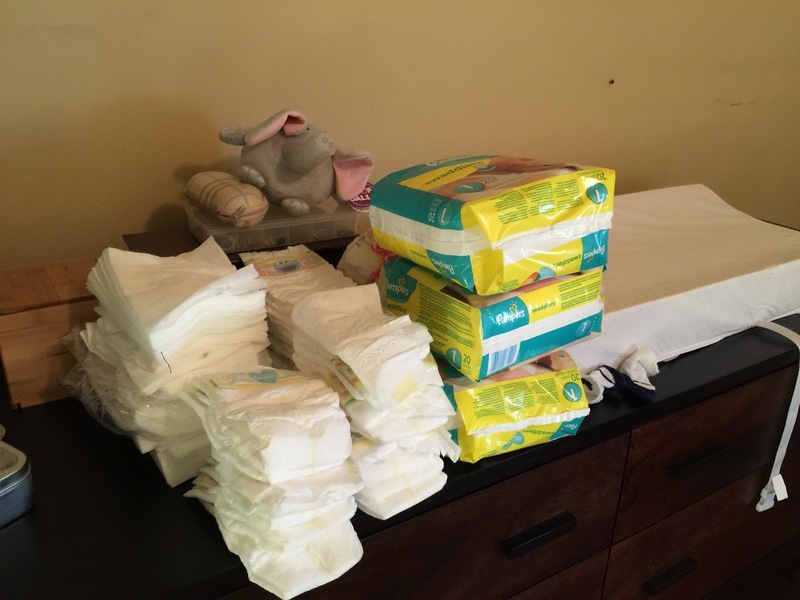 She’s got hundreds of diapers, bibs, burping cloths, a changing table, a bassinet, onesies, fall clothes, winter clothes, formula, bottles, a bottle sanitizer, toys, thermometers, and more stuff already prepared for her. Just the other week after hours and hours of sweat and a sore back daddy put together her crib. There are so many lessons that I have still to learn on this one. I admit I never quite understood the Bible verse where Jesus said, “If your child asks for bread, will you give him a stone?” and “If he asks for a fish will you give him a snake?”. The question I’ve asked myself when I hear this verse is, then why can’t I ask God to let me win the lottery, or to win over the girl I liked, or to make me more popular? I think the answer has to do with sufficiency. If we ask for what we consider “good things” but as James said we ask with wrong motives, of course we won’t receive them. On the other hand, I’m learning a lot from my little baby. All she’s focused on right now is survival. She cries out when she’s hungry. She cries out when she needs changing. She cries out when she feels uncomfortable. And as her daddy, because I know her motives are pure, just because she doesn’t know any different at this point, I come running to meet her needs. Regardless of how many time we read the Bible verse about the sparrows and the lilies of the field, a lot of us, myself included, forget this. I live in a little 2-bedroom apartment and sometimes I admittedly look at other people’s giant houses and wish I could live in one of those. But then I remind myself that God’s grace is sufficient. Maybe one day I’ll move to a big house but for now, I live in place that’s comfortable, warm in the winter, cool in the summer, and full of love and joy. And that’s more than I need for now. 9) A father is okay with handling the messy stuff in your life. I admit, the one thing I didn’t think I could handle as a new parent was the diaper changes. I heard from parents that something in you changes so that you really don’t mind it, but I didn’t believe it. The prospect of handling someone else’s poop and pee just grossed me out. And yet, it happened. The first poop was that menconium stuff that just fascinated me–how could this tiny little thing produce all that black tar? A few poops later was the one every parent faces of the little thing tinkling like a fountain mid-diaper change, again something I found strangely amusing. Also amusing was that time mid-diaper change where I saw the little poop in action coming out like a Tootsie Roll machine. Again strangely amusing. If it were some other baby I’d probably be mortified and disgusted, but because it was our little baby every poop is like a little celebration. 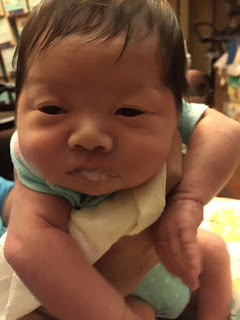 Okay, I haven’t hit solid food poop yet, so I know full well this is short-lived. But while I’m in my little state of denial, I’ll make my point. Because God loves you and me, he’s okay handling the messy stuff in our life. I think sometimes we fool ourselves into thinking we’ve done something too shameful or awful to be forgiven by God. And this concept is exacerbated when we surround ourselves with checklists and rules. Not to say that checklists and rules are not important, but when the checklists and rules become the sole object of our worship rather than things we naturally do because we first experience God’s love and mercy and grace, we need to re-evaluate the way we worship. Okay, this point was a little bit of a stretch, but I just wanted to tell the Tootsie Roll story. And no, I won’t include a photo with this one (even though I have one). 10) He will be with you. Every Step Of The Way. Maddie is now a little over a month old. There’s one thing I’m sure of as a daddy. I want to be there for her every minute of every day of her life as long as I’m able to. I can’t explain it. She hasn’t done anything to deserve my loyalty to her. In fact, more often than not she screams in my face, doesn’t have the patience to wait even two minutes for me to get her bottle ready before crying, refuses to go to sleep at night, and has turned my life completely upside down. And yet I look into her face and my heart melts each time. And so it is with God. You are his beloved child, and his love is there not because of anything you did to deserve it, but just because he’s your Father. Don’t let anyone or anything ever let you forget it. And the next time you pray, instead of bowing to a nameless, faceless deity, try talking to Him as your dad. I think he’ll probably appreciate it. It’s been a while since I concluded a blog post with a hymn, but this one seems apt for the occasion. For come what may, from day to day, My heavenly Father watches over me. Tho’ billows roll, He keeps my soul; My heavenly Father watches over me. And surely He remembers me; My heavenly Father watches over me. Thro’ praise or blame, thro’ flood or flame, My heavenly Father watches over me. And thro’ the gloom He’ll lead me home, My heavenly Father watches over me.